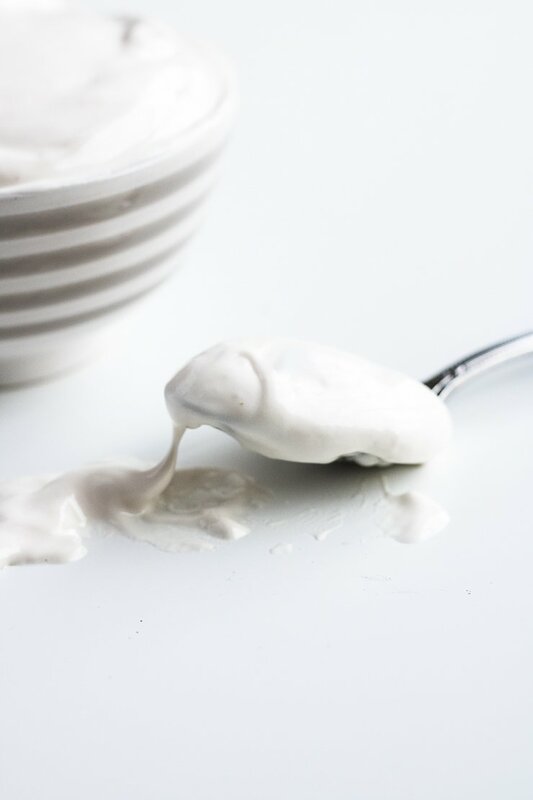 This paleo marshmallow fluff recipe is made without eggs and without corn syrup, unlike the traditional marshmallow fluff (creme) you’ll find at the store. How do you make marshmallow fluff (creme)? 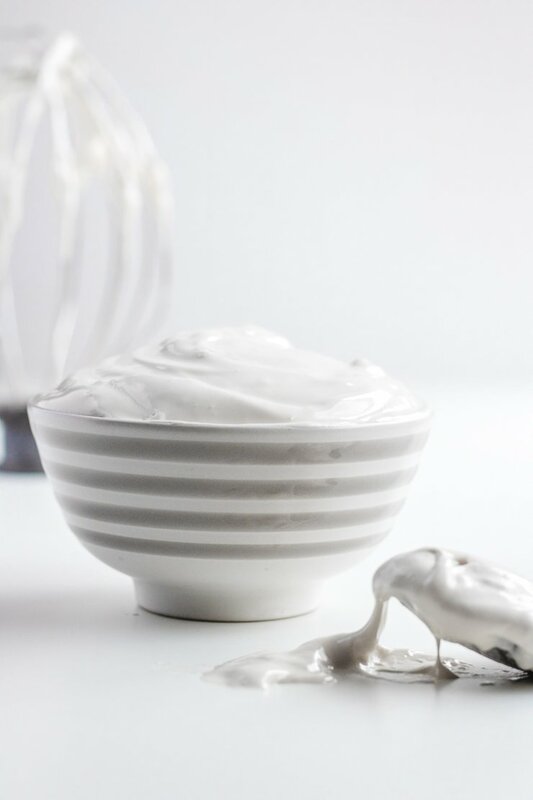 This homemade marshmallow creme recipe is pretty easy to make. However, you’ll need a few tools, like an instant read thermometer (or a candy thermometer) and a stand mixer, to help the process go smoothly. 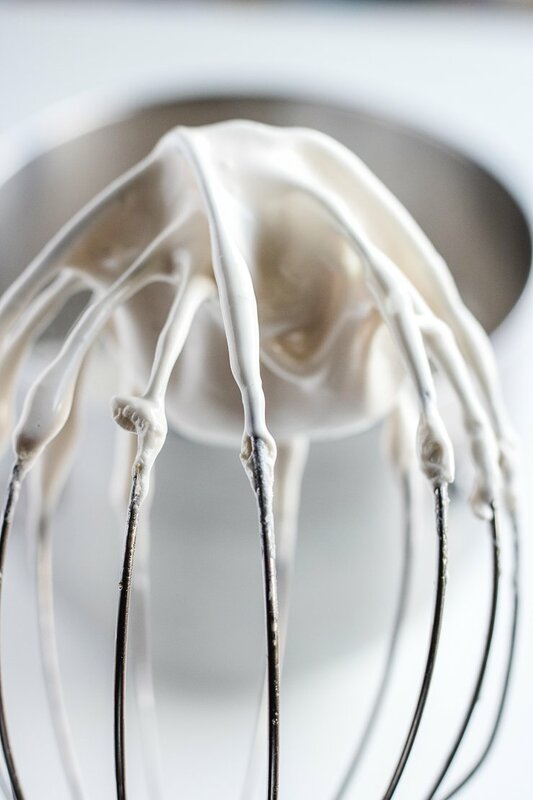 Follow the steps below, and you’ll have delicious homemade marshmallow fluff in no time! 1) Into the stand mixer bowl, add 1/4 cup of water. 2) Slowly sprinkle the gelatin into to water, stirring as you go so it doesn’t clump up. Set aside to let bloom while you’re heating the sugar mixture. 3) Into a medium saucepan, add the maple syrup, honey, and remaining 3/4 cup of water. 4) Bring to a gentle boil over medium heat. Once it starts bubbling, turn the heat down to medium low and let it simmer until it reaches 240℉. This usually takes anywhere from 10-15 minutes. 5) Once the sugar mixture reaches 240℉, turn the mixer fitted with a whisk attachment to medium speed, and slowly (and carefully!) poor the sugar mixture into the water/gelatin mixture. 6) Mix on high for 5 minutes, then add in the vanilla and salt. Mix for 5 more minutes on high. 7) Let the mixture sit for 5 minutes, and then turn the mixer on again for a minute or 2. Or eat it by the spoonful! How long does marshmallow creme last? This marshmallow creme recipe will last up to 2 weeks when stored in an air tight container. However, over time it will get thicker like a marshmallow. I suggest using this marshmallow cream immediatley because of this reason. 1) Watch the sugar mixture carefully while it’s boiling! It can quickly go from the perfect temperature to a burned mess. Once the mixture has heated for a while and reduced a bit, I like to turn down the heat ever so slightly so it won’t burn. The mixture will stay at 220℉ for quite a while during the heating process, and then it will quickly spike to 240℉. Just be sure to keep an eye on it and use your instant read thermometer or candy thermometer. If you don’t have a thermometer, you can cook it for about 10-15 minutes and you should be good. 2) When pouring the hot sugar mixture into the mixing bowl, it’s best to drizzle it slowly down the side of the bowl. This will help the sugar mixture incorporate smoothly into the gelatin mixture, and also ensure you don’t get splattered with hot sugar! 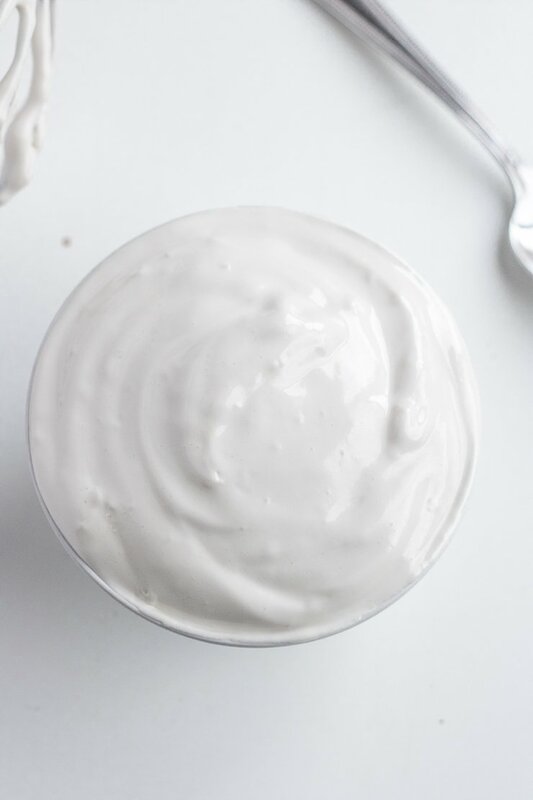 This paleo marshmallow fluff recipe is made without eggs and without corn syrup, unlike the traditional marshmallow fluff (creme) you'll find at the store. It's a delicious frosting or filling for cookies and cupcakes. Prepare your mixer by attaching the whisk attachment. Add 1/4 cup water to the stand mixer bowl. Slowly sprinkle the gelatin into to water, stirring as you go so it doesn't clump up. Set aside to let bloom (rest) while you're heating the sugar mixture. Add the maple syrup, honey, and remaining 3/4 cup of water to a medium saucepan. Bring the sugar mixture to a gentle boil over medium heat. Once it starts bubbling, turn the heat down to medium low and let it boil until it reaches 240℉. You don't want it to be a roaring boil, but it should be more than a simmer. This step usually takes anywhere from 10-15 minutes. Mix on high for 5 minutes, then add in the vanilla and salt. Mix for 5 more minutes on high. Let the mixture sit for 5 minutes, and then turn the mixer on again for a minute or two to ensure everything is well incorporated. 1) Watch the sugar mixture carefully while it's boiling! It can quickly go from the perfect temperature to a burned mess. Once the mixture has heated for a while and reduced a bit, I like to turn down the heat ever so slightly so it won't burn. The mixture will stay at 220℉ for quite a while during the heating process, and then it will quickly spike to 240℉. 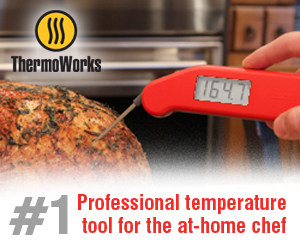 Just be sure to keep an eye on it and use your instant read thermometer or candy thermometer. If you don't have a thermometer, you can cook it for about 10-15 minutes and you should be good. 2) When pouring the hot sugar mixture into the mixing bowl, it's best to drizzle it slowly down the side of the bowl. This will help the sugar mixture incorporate smoothly into the gelatin mixture, and also ensure you don't get splattered with hot sugar! Psst…want to save money on healthy food? Check out Thrive Market! Did you make this recipe? Share on Instagram using #simplyjillicious so I can see! 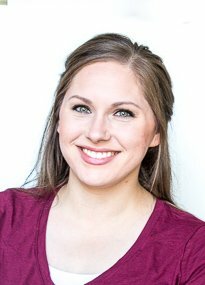 Hi, I'm Jill, a professional eater and real food recipe creator. I'm passionate about non-toxic living and using healthy food to heal from the inside out. Welcome to Simply Jillicious. I'm Jill, a professional eater and real food recipe creator. I'm passionate about non-toxic living and using healthy food to heal us from the inside out. My recipes are gluten free, dairy free, and refined sugar free. Sign up to receive Jillicious recipes straight to your inbox. Copyright 2018 - Simply Jillicious© All Rights Reserved.